Physical therapy now available without a prescription! "Getting You Moving Pain Free"
When injury puts you out, we’ll get you back! If you've tried everything and nothing works, we may be able to help. Pro Motion physical therapists are clinical specialists, internationally trained professionals. We live and breathe our profession and are passionate about getting patients better. We believe in doing it right the first time, and every time. We get to the cause of your pain rather than chasing symptoms, ensuring you are pain free in as few visits as possible, saving you both time and money. We collaborate as a team problem solving difficult cases, and welcome second opinions, and taking over your care when physical therapy has failed elsewhere, or when you simply need answers. Pro Motion physical therapists perform a comprehensive evaluation, prioritizing the cause of pain, addressing structure/structures involved, and utilize muscle control as a basis for exercise progression (making sure the correct muscles are working at the right time, addressing imbalances in your muscles and faulty movement patterns). This not only ensures lasting results but you often feel better than before your issue started. 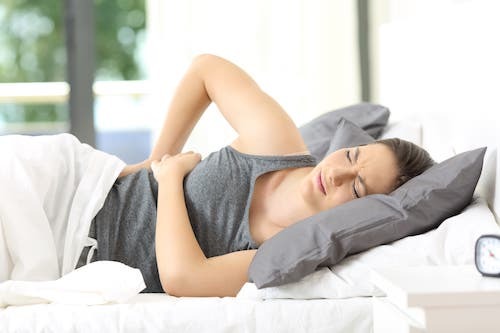 Once you have reached your goals, and complete your treatment with us you will be equipped to maintain not only a pain free lifestyle, but you will be given the tools to prevent recurrent episodes. 99% of our patients complete their rehab with us (compared to 30% national average). This is because we treat you right the first time and every time. Treatment begins and ends with the same physical therapist at every visit! No techs or assistants treating you. We feel it is important to follow up with you to check on your progress, and encourage you to contact us after you have finished treating if you have any questions or flare ups. Low back pain is not a specific disease. Low back pain is a symptom of a particular injury or ailment that causes pain. In spite of the small number of conditions that can cause low back pain, 85% of low back pain patients are diagnosed with “non-specific low back pain” - the most common diagnosis for a painful spinal condition is “Low Back Pain” Here in lies the problem! The traditional method of diagnosing low back pain is exclusively based on the findings of abnormal radiological imaging such as x-ray and MRI. This approach does not allow for an accurate diagnosis when used in isolation. When low back pain patients are referred to physical therapy with this generic diagnosis, signs and symptoms are treated without consideration for the underlying structures causing the pain. Patients either fail to respond or aggravate their low back disorder, cancelling their physical therapy due to no perceived benefit. The Biopsychosocial Model – solves this Low Back Pain problem. The source of a patient’s low back pain can only be identified by classifying low back pain disorders into sub-groups based on the structures causing the low back pain. Identification of the source of a patient’s low back pain allows for the development of a specific treatment plan aimed at low back pain resolution. The “Biopsychosocial Model” is considered the best model we have to diagnose low back pain. This model allows for consideration of every possible cause of a patient’s pain, identifying the structure(s) involved. In addition, the model allows for identification of the presence and influence of psychological factors (fear and anxiety), and social factors (work place disputes and family tensions) on a patient’s low back pain. The success of this approach depends on the specialized training, skill and ability of the physical therapist. Additionally the importance of having the same physical therapist throughout the patient’s treatment is critical. A successful outcome will also be influenced by the severity of the patient’s low back pain and their compliance with the prescribed treatment that includes the home exercise program. The goal of treatment for any low back pain patient is to decrease the severity of the pain, decrease the length of disability and to prevent recurrence. Successful management greatly depends on accurately identifying the structure(s) causing the pain, and applying the most appropriate treatments. What is clear from scientific research and clinical practice is that a multidimensional approach is needed to address low back pain. 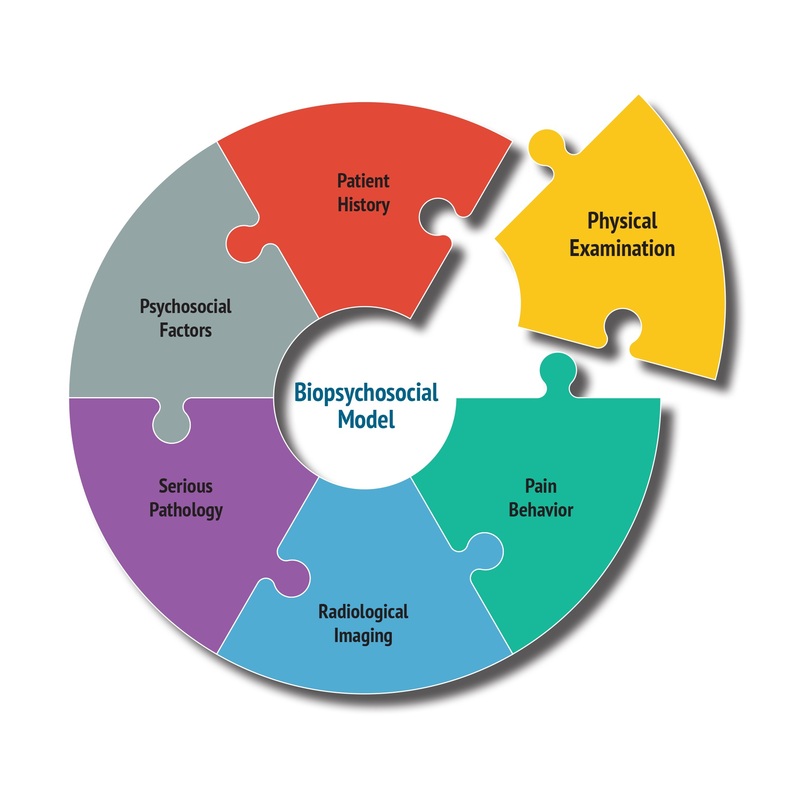 The most accurate model available in achieving your goal of pain relief is the Biopsychosocial model. The approach recognizes low back pain has multiple facets. It is not simply a physical event but is closely tied with social circumstances and psychological factors that both influence an individual’s pain experience. It is critical the underlying factors of a patient’s low back pain are identified and physical therapy interventions are specifically directed to the underlying factors driving a patient’s pain. Addressing Psychological and social factors present in a patient’s low back pain has been associated with reductions in pain intensity, depression, number of doctor visits and physical disability. Following this process we have the potential to affect your low back pain and restore lasting, long term, pain relief restoring full functional ability. The Physical Therapists at Pro•Motion Physical Therapy are the only physical therapists in the Chicagoland area specifically trained in and using the Biopsychosocial approach demonstrating excellent outcomes with low back pain patients. Discover the Difference, Lets connect today! The medical term for the neck is the cervical spine, a complex structure whose design is cleverly related to its functional needs. Your ability to move your neck in different directions is related to the design. The different movements of the neck occur in specific regions: Looking down to the floor and up to the ceiling occurs at all levels of the neck. Bending the head to the side (putting your ear to your shoulder) occurs mostly at the 4th to 7th joints of the neck. There are seven bones (vertebra) in the neck, most are separated by discs. The exceptions are the head and the first bone and the first and the second bone of the neck. The back of the vertebrae has irregular shaped bones designed for the attachment of muscles and ligaments that guides complex movement and stabilizes of the neck. Seven pairs of joints control neck movement. Eight pairs of nerves in the neck allow us to feel all sensation (hot, cold and touch) and pain and produce movement from the top of the head, face and neck extending to the arms ending at the fingertips. Vertebral artery - runs on both sides of the neck up to the head where they join supplying 11% of blood to the brain. These two factors guide physical therapists to the location of a patient’s injury.the neck to become painful it requires some form of dysfunction, pathology or disturbance of the joints, discs, ligaments or muscles. Pain sensitive nerves, within these structures, send alarm signals to the brain where pain is recognized. Trauma to the neck, can occur during a motor vehicle accident (whiplash) or a neck injury from a fall or a sports activity. Middle aged and older people often report an increase of neck pain and stiffness, consistent with the development of degenerative joint disease more commonly known as arthritis. Younger people present with neck pain from micro-trauma caused by poor habitual, or work postures, sustained neck positions or poor movement patterns. Damage of neck structures above the third vertebra sends pain to the head, neck and face, while structures below this level send pain into the shoulders, shoulder blades, arms and hands. Pro•Motion Physical Therapy’s treatment for neck disorders is unique and aims to care for patients by addressing their pain and the pathology caused by neck movement alterations in the joints, muscles and nerves of the neck. The goal of treatment is to relieve pain, reverse the altered neck movement and restore joint and muscle function preventing recurrent episodes. This approach is supported by precise and relevant exercises and lifestyle changes that assist with effective and preventative self-management. At Pro•Motion Physical Therapy the method used to achieve these goals is called the Biopsychosocial Model, a method that allows our physical therapists to identify the specific cause or causes of a patient’s neck pain rather than chasing symptoms. With accurate identification of the specific structure or structures a tailor made approach will be chosen for each individual patient. At Pro•Motion Physical Therapy each patient can expect, within the limitation of current knowledge, the safest and most effective treatments, producing the best possible outcomes. We constantly evaluate the effectiveness of our treatments. If a treatment approach is not proving to be effective we will first reconsider the diagnosis. If the diagnosis proves to be correct we will introduce other treatments or combination of treatments to allow the patient the quickest and most complete resolution of their pain or injury. All aspect of our treatment is complimented with a home exercise program. At time of the patient’s discharge he/she should have a realistic program to continue in the long term for maintenance as well as self-management strategies in the event of any renewed onset pain. Compliance with the established home exercise program is essential. A headache involves pain in the head, which can arise from many disorders or may be a disorder in and of itself. Diagnosis is the cornerstone of headache management. Successful management relies on correctly identifying the origin and contributing factors of a headache. To achieve an accurate diagnosis a headache must be classified into like sub-groups based on the factors driving the headache. Only then can appropriate headache management occur. The “International Classification of Headache Disorders” classifies all headache forms into primary and secondary headaches. Primary Headaches occur for no obvious reason, not caused by any underlying disease or process. The headache itself is the illness. Primary headaches include migraine, tension and cluster headaches. 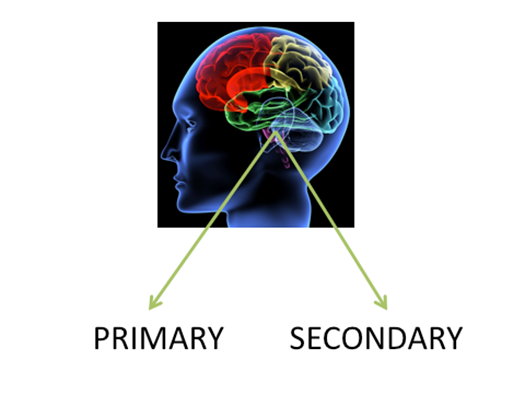 Primary headaches are far more common than secondary headaches. Secondary headaches result from other medical or neurological condition, and will generally not resolve until the specific cause is diagnosed and addressed. Secondary headaches include sinus headache, headache from a head injury as a concussion or whiplash and a headache experienced when decreasing medication dose. Cervicogenic headache is a Secondary headache commonly described as a severe limiting headache caused by disturbance of the upper neck joints, muscles, discs and ligaments. While starting in the neck this headache can send pain to the head, eyes,sinuses and teeth. Reduced movement of the neck. The presence of stiff painful joints in the upper neck. A lack of muscle control of the neck muscles. 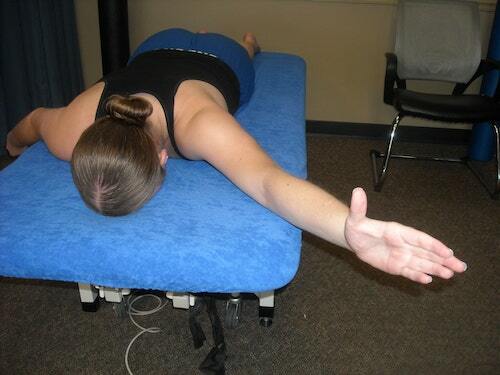 Altered muscle control of shoulder blade muscles that attach to the neck. 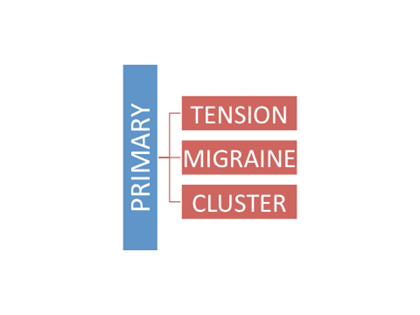 If these 4 factors are present then cervicogenic headache can be differentiated with 100% certainty from Migraine and Tension headaches, the two most commonly diagnosed headache forms. Pro•Motion Physical Therapy uses a structured treatment approach based on scientific research to manage cervicogenic headache patients. 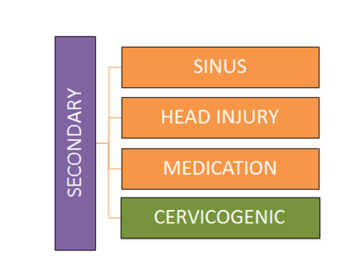 Cervicogenic headache patient presentations vary from uncomplicated disorders to the complex. Management at Pro•Motion Physical Therapy, therefore, varies from being relatively straight forward to very challenging. The precise management is guided by the presentation of the individual patient and has a strong emphasis on patient education. Research has shown that gentle movement of the joints of the neck in a rhythmical fashion can relieve joint pain and restore neck movement. Altered muscle control of the neck and the shoulder blade occurs immediately with neck pain or joint injury and can persist after the pain has resolved, pre-disposing the neck to recurrent episodes Rehabilitation of both areas is essential to resolve neck pain and the headache. A low-load muscle training program is advocated as it has an immediate pain relieving effect on the painful joints of the neck in patients with neck pain and headache. Phase 1: Focuses on low-load precision exercises to re-activate the neck and shoulder blade muscles. Phase 2: Aims to continue muscle re-education in upright postural positions. Phase 3: Introduces strength and endurance muscle exercises to meet a patients, work, recreational or sporting requirements. 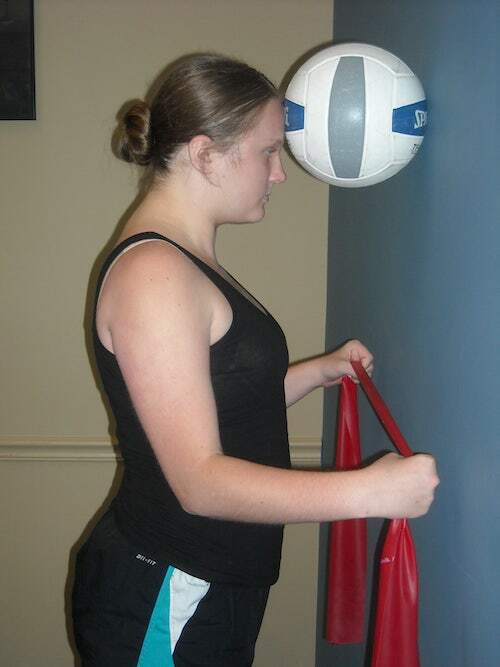 All aspects of Cervicogenic Headache treatment are complemented with a home program of exercises. Exercise and advice on modification of exercises to work or lifestyle activities will be given to our patient’s in pictorial form with written instructions of the number of repetitions and frequency. If you have been diagnosed with Migraine headaches and have taken medication, often for years with little effect, consider Cervicogenic Headache an alternative diagnosis for your headache and get the relief you desire. Whiplash is an acceleration–deceleration injury to the neck, most commonly caused by a motor vehicle accident (MVA). The energy from the impact can result in injury to the muscles, bones, nerves, ligaments and other structures of the neck. A whiplash injury can lead to a variety of clinical presentations known as a Whiplash Associated Disorder (WAD). Whiplash (WAD) disorders are commonly associated with a high level of disability, decreased quality of life and psychological distress. 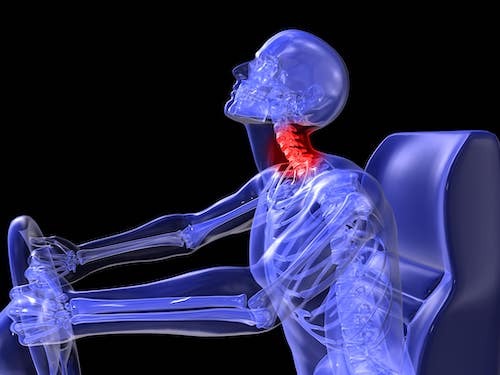 What happens to the neck during a whiplash injury? Phase 1: The impact of the seat against the back of the body forces the spine into an S Shaped curve, compressing the discs, producing painful bone bruises and possible fractures of the spine. Phase 2: The head and neck then moves backward stretching the structures on the front of the spine and compressing structures on the back of the spine. Ligaments on the front of the spine stretch and tear. The back of the disc is compressed and tears. Joints at the back of the spine are also compressed causing their cartilage to crush predisposing the development of arthritis. Phase 3: The head then accelerates forward stressing the ligaments and muscles at the back of the upper neck. Compression occurs at the front of the neck often affecting the discs. Phase 4: The neck follows the head forward forcefully compressing the front structures while the back structures stretch. 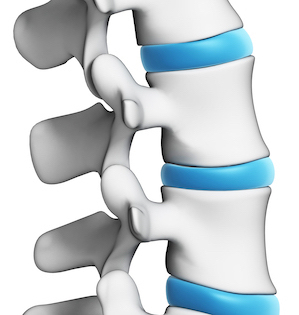 Discs are forced backwards compressing the spinal cord and the spinal nerves. The forward bending forces stretch ligaments at the back of the spine causing instability to the spine and the joints. Damage to the ligaments surrounding the joints of the neck cause instability of the spine an injury associated with long-term pain and disability. Whiplash is a complex and varied condition involving diverse physical and psychological symptoms. Some of these symptoms show an association with poor functional recovery. Neck pain is the predominant symptom often producing limiting neck movement and is capable of producing a severe headache. In addition, neck pain can radiate to the shoulder, arm and between the shoulder blades. Dizziness, loss of balance and visual disturbance are other symptoms that can be experienced. Changes of neck and shoulder blade muscle activity has been shown to occur very soon after a whiplash injury leading to higher levels of pain and disability lasting for up to 2 years after the recovery of symptoms, increasing vulnerability to re-injury. Symptoms can occur immediately extending to 12-15 hours after the MVA. The Role of X-Rays and MRI in diagnosing Whiplash Injury. X-ray and MRI reveal only limited evidence of injury changes to the neck in patients with whiplash, making a diagnosis controversial. The lack of structural damage identified in whiplash patients makes insurance companies question the injured person’s motives. Evidence for neck structural injuries is seen in Bioengineering studies and in autopsy cases after MVA studies of non-survivors. Pro•Motion Physical Therapy will perform the most advanced evaluation of your whiplash injury using scientifically recommended evaluation tools. The specific structures involved in your pain presentation will be identified; your prognosis and best course of treatment will be discussed with you in detail. Patients with whiplash can range from relatively low complexity to highly complex presentations. Treatment will be based on the evaluation findings and will be tailor made to the individual patient’s symptoms and functional limitations. Early and specific rehabilitation will have an important influence on whiplash patients. Maintaining a level of activity is essential as opposed to rest. Treatment will also include patient education and assurance, specific individual exercises, simple analgesics and coping strategies. Recovery from whiplash injury is variable and accounts for the diverse nature of whiplash injury. The diverse nature of the whiplash condition may explain the modest effect of treatment strategies to date. Recent investigations have shown whiplash disorders have both physical and psychological components. The physical therapists at Pro•Motion Physical therapy have advanced training in the evaluation and treatment of patients who have sustained a whiplash present with WAD. Pro•Motion Physical Therapy’s treatment outcomes to date have been excellent with a 90% success rate. Patients who have undergone ACL surgery need special help to get them back to the productive lives they enjoy, and no one else provides the same recovery program we can. We use functional testing, widely considered the gold standard of assessing knee-injury recovery. Most rehab programs can take you back to 75% functional improvement. Our focused ACL Rehabilitation program combines evidence-based therapies and one-on-one care for unparalleled rehabilitation and a recovery plan to get you back to the best possible functioning. Pro•Motion Physical Therapy owners and Clinical Specialists Paul Humphries and Jayne Sutcliffe both trained in Australia, which has an international reputation for innovation and leading the way in physical therapy research. Over the past 50 years, nearly every new concept in physical therapy has come from Australia. We maximize the benefits of our education and training by providing an outstanding level of service and one-on-one care. Our patients see the same therapist at every visit — not a tech or an assistant, but a clinical specialist. And we spend the entire time working hands-on with individual patients rather than supervising groups from a distance. We spend this time teaching, observing, adjusting and goal-planning to allow you to reach your full potential. Millions of people throughout the world participate in physical activity or play sport. As a result of this, a branch of physical therapy has developed known as Sports Medicine. Sports Medicine should be defined as the “ Medicine of Exercise” and should include injury prevention, injury diagnosis, treatment and rehabilitation, performance enhancement through training, nutrition and psychology. 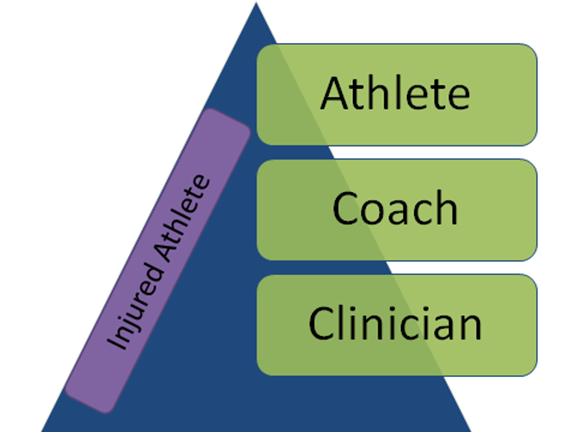 The skills of many different healthcare providers can be needed in the evaluation and treatment of an athlete. Correct the problem/ cause and prevent further episodes. As with any branch of medicine diagnosis depends on careful clinical assessment, which consists of obtaining a history, physical examination and radiological imaging as Magnetic Resonance imaging ((MRI), computerized tomography(CT) scans or x-ray. In order to provide its athletes the most scientifically accurate assessment of their injuries Pro•Motion Physical Therapy utilizes the principles of Bio-psychosocial Model (BPSM). Stress fracture -- small crack in a bone caused by repetitive overuse activity as running sports. Compartment syndrome -- pressure or buildup in an enclosed muscle. Periostitis -- inflammation of the tissue surrounding a bone. This approach will allow the development of a precise individualized treatment plan for the athlete. Correct the cause of the injury. At Pro•Motion Physical Therapy each athlete can expect, within the limitation of current knowledge, the safest and most effective treatments, producing the best possible outcomes. We constantly evaluate the effectiveness of our treatments. If a treatment approach is not proving to be effective we will first reconsider the diagnosis. If the diagnosis proves to be correct we will introduce alternative treatments or combination of treatments to allow the patient to achieve the quickest and most complete resolution of their injury. All aspect of treatment is complemented with a home exercise program. Exercise and advice on modification of exercise to work or lifestyle activities are given to the patient in pictorial form with written instructions of the number of repetitions and frequency. The home exercise program will be reviewed and progressed regularly in line with the change in an athlete’s condition. At time of the athlete’s discharge he/she should have a realistic program to continue in the long term for maintenance as well as self-management strategies in the event of any renewed onset pain. Compliance with the established home exercise program is essential. The relationship between the clinician, coach and athlete is crucial. Pro•Motion Physical Therapy has an excellent relationship with local coaches. Involving the coach in the end of the athlete’s rehabilitation is a critical tactic. The coach’s value is in supervising the recommended treatment or rehabilitation program as it relates to return to sports. An example would be, not allowing a baseball or softball player rehabilitating a shoulder injury to throw too often while participating in the athletes “Return to Throw Program”. In addition, inclusion of the coach in the end stage of an athlete’s rehabilitation can help to identify the possible cause of the athlete’s injury. A muscle imbalance around the shoulder is a factor. Measures can then be put in place to prevent re-injury. Our experienced physical therapists can care for your toughest pain and injuries, including complex low back pain, orthopedic injuries, and expert care after surgery. We will work on getting you out of pain as quickly as possible, restore full range of motion, and work on your strength, flexibility and endurance. Our goal is to get you back to work safely and we are strong advocates for our patients, helping you each step of the way. If after physical therapy is completed and your goals met, you are still not quite ready to return to your work full duty, we will progress to work conditioning – a four hour program, daily, to work on strength, flexibility, cardiovascular fitness, and functional activities related to your job. 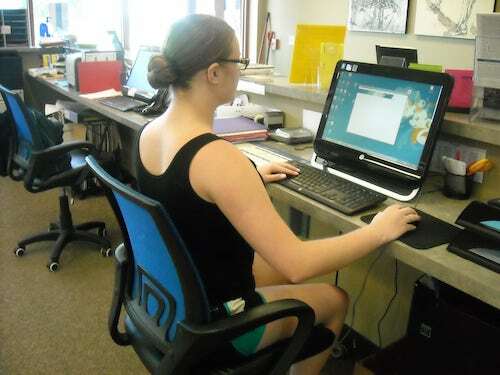 We will work with you one-on-one to get you healthy, productive and back on the job. Remember, according to the law in IL it is your choice where you go for Physical Therapy after a work injury. Let your employer or case manager know you choose Pro Motion Physical Therapy to get you back to work safely and quickly. Orthopedic post-surgical physical therapy involves identifying and treating the causes of pain, mobility and functional limitations related to the musculo-skeletal system which means the muscles, bones, joints cartilage, ligaments, and tendons of your body after surgery. After your surgical procedure you may stay in hospital for a few days until your condition stabilizes or your surgery may be on an outpatient basis which means you go home the same day. Depending on your support set up at home you have the option of going to a rehabilitation center for your physical therapy or have physical therapy at home for a few weeks before starting outpatient physical therapy where most of your improvement will be achieved. Alternatively, you may be referred to outpatient physical therapy directly to start your physical therapy. Pro•Motion Physical therapy is a state of the art facility, fully equipped with everything you need to make a full recovery. Your surgeon will forward a document to our facility called a “Protocol”. This document will tell our physical therapists what goals we need `to achieve in the 1st and 2nd week, then 3rd and 4th week and so on of your rehabilitation. Reports are sent to your surgeon periodically with updates on your progress. Anyone who has experienced an Orthopedic surgery, maybe a joint replacement, shoulder rotator cuff or labrum surgery, knee meniscus repair, hip labrum repair, ankle surgery often have pain, weakness, limited function and mobility, swelling and other complications. At Pro•Motion Physical Therapy, we provide effective solutions to all post-surgical orthopedic problems. We work with you to relieve the after effects of your surgery and restore full functional ability. Pro•Motion Physical Therapy provides customized orthopedic physical therapy treatment solutions, within the guidance of your post-surgery protocol, to each one of our patients through a comprehensive evaluation process and specific treatment approaches that address the individual patient’s specific needs. Every patient’s rehabilitation is different which requires specialized attention and care with our targeted treatment plans. Our treatment plans are designed to help you regain mobility and independence. Pro•Motion Physical Therapy only employs physical therapists with advanced training skills in the evaluation and treatment of post-surgical orthopedic patients. Your physical therapists will perform an initial evaluation and follow you through your whole rehabilitation process to discharge. This ensures continuity of care for each patient. At Pro•Motion physical therapy you will never be treated by a tech, athletic trainer or physical therapy assistant. All aspects of your treatment are complemented with a home program of exercises. Exercise and advice on modification of exercises to work or lifestyle activities should be given to the patient in pictorial form with written instructions of the number of repetitions and frequency. The Home exercise program will be reviewed and progressed regularly in line with the change in your condition. At discharge the patient should have a realistic program to continue in the long term for maintenance as well as self -management strategies. Compliance with the home exercise program is essential. The hip joint is subject to many stresses and strains with activities of daily living, work tasks and sports related activities. Hip pain can result from injury to any of its structures, affecting all age groups. Your hips are strong when healthy but changes in the hip from disease, repetitive strain or injury can significantly affect your ability to function and can place abnormal stress on joints above and below the hip. Perthes disease is a disease that affects hip joints in children most often between the ages of 3 and 11 where the blood supply to the top of the femur bone is temporarily disrupted. The bone gradually heals but may lead to problems later in life. Boys are more affected as than girls. synovitis occurs in 4-8 years olds caused by inflammation of the joint lining often caused by a minor trauma or a virus. Congenital dislocation of the hip, develops from birth a problem most commonly seen females 0-4 years of age. 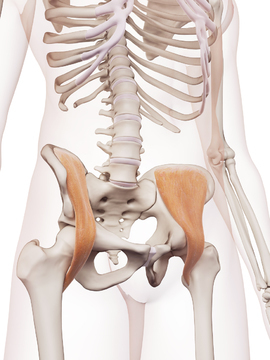 Snapping hip syndrome affects 5% of the population most commonly occurs between the ages of 15 and 40 in females. The cause is due to a labrum (cartilage tear) or from one of the hips tendons snapping over the bony structures of the hip. Stress fracture to the neck of the femur is also common in this age group. Slipped capital femoral epiphysis(SCFE) occurs when the ball part of the hip joint slips away from the rest of the bone. This condition is occurs in males in the11-14 age group especially if the Perthes disease was missed in childhood. Hip pointer is bruise on the pelvis or hip bone caused by a direct blow or a bad fall. A pelvic avulsion fracture occurs when a tendon connected to the hip bone contracts so hard that it pulls off part of the bone. Sports related hip pain is usually the result of a traumatic event as a fall or hard impact. Hip pain may also stem from a twisting injury or extensive repetitive overuse motion. Muscle strains and inflammation of the tendons of the hip and groin are subject to overuse injuries. Bursitis is inflammation from injury or infection of the bursae. Athletes who participate in ice hockey, soccer, football, and ballet are prone to labrum tears. Many hip conditions arise in active people ranging from muscular strains as groin and hamstring strains or a piriformis (small muscle at the back of the hip joint) strain. A number of nerves can become trapped as they pass through the hip and piriformis muscle and should be considered as a cause of hip pain. Muscle imbalances can occur result the bursae become irritated with a progression leading to the development of stress fractures to the hip joint. Can affect every structure of the hip and may result in a ligament tear, a cartilage (labrum) tear, or a bone fracture, leading to swelling or bleeding in the hip joint. Most hip fractures in people with healthy bones are a result of a high-energy trauma such as car accidents, falling from a height or sports related injuries. Can be explained as pain experienced in the hip which originates in another location, possibly from knee joint damage or from injury to the low back. The Sacro-Iliac joint can also be a cause of hip pain. Referred pain can also be felt in the thigh, lower leg, ankle or foot. At times pins and needles or numbness may be felt in the affected leg or foot. Inflammatory arthritis occurs when a body’s immune system becomes overactive and attacks healthy tissue. Rheumatoid arthritis is one such condition that attacks and destroys the articular cartilage covering the bone, often affecting both joints. Many other inflammatory arthritic conditions can affect the hip joint that can cause a wide range of disabling symptoms and loss of functional ability often requiring a hip replacement. Osteo-arthritis of the hip joint is common hip condition associated with degeneration of the joint cartilage and changes to the underlying bone. Often a Hip Joint Replacement is needed to resolve pain and restore functional ability. Older people are at risk of a hip fracture, which often occurs from a fall or from thinning of the bones known as osteoporosis. The elbow joint is relatively unstable due to the shape of the bones that form the joint. The unique movements possible at the elbow along with the high forces that it experiences predispose the elbow to significant injuries. Elbow pain can result from an injury to any of its structures, affecting all age groups. Most elbow pain is caused by overuse injuries. These injuries happen when tendons muscles or ligaments of the elbow joint become damaged over time due to repetitive movement without adequate time to heal. Elbow injuries are common in children who are active and participate in organized sports. Growth plate fractures, falling onto an outstretched hand and elbow dislocations are also common. “Little League Elbow” an overuse injury is the most common injury in youth baseball pitchers and throwers. 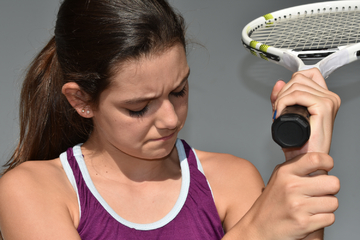 Tennis elbow is a condition affecting the outside of the elbow. Only 50% of the tennis population is affected. An overuse injury increasing with age. People in their 30’s and 40’s develop tennis elbow as a result of occupational tasks as laborers performing excessive gripping or wringing activities and musicians rather than sports activities. The condition is caused by repetitive and excessive use of the wrist. Golfers elbow, a less common elbow condition, affecting the inside of the elbow, men are more affected than women. Common causes are golf and frequently carrying a heavy bag or a case. Ligament injuries are a common source of pain in the elbow. They are commonly under stress with overhead throwing as needed in baseball, javelin and throwing. Athletes commonly report a “pop” and bruising around the inside of the elbow. Inflammation of the triceps tendon is common in weightlifters and industrial workers who repetitively straighten the elbow against resistance. Javelin throwers are prone to repeatedly and forcefully extending the elbow producing pain. 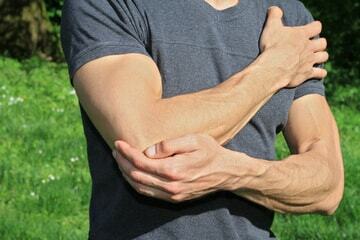 Many elbow conditions arise in active people ranging from muscular strains as inflammation of the biceps tendon. The ulna nerve can become trapped as it runs through the inside of the elbow providing numbness and tingling in the ring and little finger. Trauma and injury to the elbow can damage the cartilage in the joint and can lead to an early arthritis. Inflammation of the bursa at the back of the elbow can occur with a history of trauma. Can be explained as pain experienced in the elbow which originates in another location, most commonly from the 5th and 6th bones of the cervical spine (neck). This can result in elbow pain, limited elbow mobility and mobility of the nerves around the elbow. Pins and needles are common around the elbow and forearm. Inflammatory arthritis occurs when a body’s immune system becomes overactive and attacks healthy tissue. Rheumatoid arthritis is the most common causes of arthritis in the elbow, which leads to severe pain, swelling, elbow stiffness and deformity. Osteo-arthritis of the elbow affects the cartilage in the end of the bones. As degeneration progresses pain increases with limited movement of the elbow joint is common hip condition associated with degeneration of the joint cartilage and changes to the underlying bone. Elbow Joint Replacement, while not commonly seen, is needed to resolve pain and restore functional ability. Both the wrist and hand is subject to many stresses and strains with activities of daily living, work tasks and sports related activities. Pain can result from injury to any of its structures, affecting all age groups. Your wrist and hands are strong when healthy but changes in the wrist and hand from injury can affect your ability to work, play sports or even dress or write. 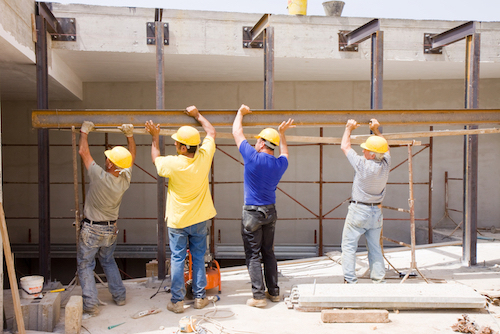 The most common wrist and hand injuries are sprains and fractures. Wrist and hand fractures peak during childhood and the teenage years. Toddlers use their hand for investigation getting then caught in home doors resulting in crush injuries. The small finger and the thumb are the most common areas fractured. Wrist fractures are common due to highrisk sports as football or soccer or falling of a bike. The ratio of male to female fractures in the wrist and hand is as high as 5:1. The participation of females in sports has decreased this ratio. Hand and wrist fractures in teenagers peak between 11-16 years of age and is related to an involvement in fracture prone sports as skate boarding, ice hockey and trick biking. Males are more 5 times more likely to fracture their wrist and hand due to more aggressive and high- risk behaviors. The scaphoid bone of the wrist is commonly fractured, caused by a fall into an extended wrist. Wrist and hand injuries are common in sports activities ranging from traumatic fractures as basketball related finger fractures to overuse injuries as wrist tendonitis in golf. Wrist sprains occur in basketball or rugby after a trip or fall causing tearing of ligaments. The Scaphoid is a bone in the wrist commonly injured in martial arts, gymnastics and football. Bennett’s fracture is a fracture of the thumb commonly seen in boxing. Many wrist and hand injuries occur in active people. Overuse injuries occur when too much stress is placed on a joint or other soft tissue. Carpal tunnel syndrome is caused by pressure on the medial nerve in the wrist producing tingling, numbness, pain and weakness of the fingers and hand. Tendonitis is inflammation in the tendon. Tendonosis is a series of common tears in a tendon resulting in pain, decreased strength and movement of the wrist, hand and fingers. Can affect every structure of the hand and wrist and may result in a ligament tear, a cartilage tear, or a bone fracture, leading to swelling or bleeding in the joints. The type of fracture is related to the type of injury. A crush fracture is different to a fracture from a direct blow from hockey or lacrosse sticks. Can be explained as pain experienced in the wrist or hand, which originate in another location, possibly from cervical spine (neck). In addition the various nerves of the arm can also be trapped and produce pain in the wrist and hand. At times pins and needles or numbness may be felt in the affected wrist or hand. Inflammatory arthritis occurs when a body’s immune system becomes overactive and attacks healthy tissue. Rheumatoid arthritis is one such condition that attacks and destroys the articular cartilage covering the bone, often affecting both wrist and hand. Many other inflammatory arthritic conditions can affect the wrist and hand joints that can cause a wide range of disabling symptoms and loss of functional ability. Arthritis means “inflamed joint” which can affect any of the 27 bones of the wrist, hand and fingers. The most common forms of arthritis in the hands and wrists are osteoarthritis (wear and tear form), arthritis that develops after an injury and rheumatoid arthritis the most severe form of arthritis. All forms cause the cause the wrist and hand to become stiff, swollen, pain and deformity. 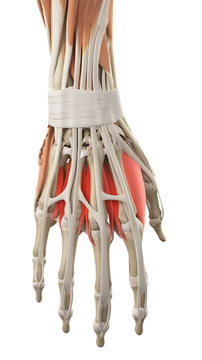 Most common areas affected are the base of the thumb, tip and middle joint of the finger. Arthritis affects 90% of patients over age 75. Colles fracture is a common fracture of the radius bone of the wrist in the elderly due to a fall in a patient with osteoporosis. The shoulder is a very mobile flexible joint which is vulnerable to injury. 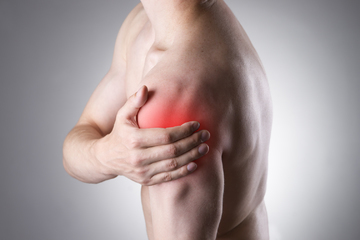 Shoulder pain can result from injury to any part of the shoulder, affecting all age groups. Fortunately most shoulder pain will improve over time with the appropriate treatment. Shoulder injuries are common in children especially those who are active and those who participate in sports. 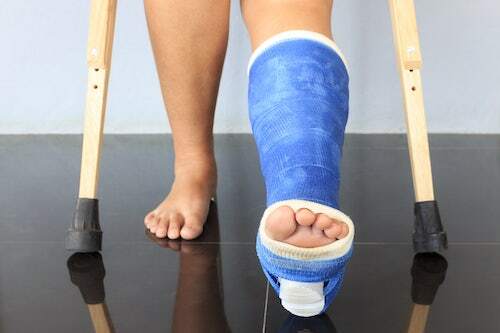 Traumatic injuries occur in the area of bone growth known as the “growth plate” (an area towards the end of a long bone where bone growth occurs) fractures caused by a fall onto an outstretched arm. Overuse injuries as “Little League Shoulder” is common in baseball players affecting the tendons and ligaments of a child’s shoulder. Are more likely to develop shoulder instability. Instability can occur in the absence of trauma from weak muscles or stretchy ligaments. Instability can also occur from repeated overhead movements as in tennis, swimming and softball. The stress causes microscopic damage to the muscles, tendons and ligaments of the shoulder that do not have time to repair between bouts of exercise. Shoulder pain is often caused by a traumatic event as a fall off a hover board or an awkward tackle resulting in a shoulder dislocation or a shoulder separation. Labrum tears are also seen in the pediatric athletes shoulder. Stress fractures can occur in overhead athlete as the young bones are still growing. Shoulder fracture or dislocation, ligament tears, cartilage damage and tears of the labrum tears or articular cartilage. Overuse shoulder injuries cause microscopic in these structures. Sports injuries can require a surgical resolution followed by expert physical therapy. Can affect every structure of the shoulder and may result in a ligament tear, a cartilage tear, inflammation of the bursa, varying degrees of rotator cuff tear or a bone fracture of the bones of the upper am or collar bone, leading to swelling or bleeding in the shoulder joint. Can be explained as pain experienced in the shoulder, which originates in another location, possibly from cervical spine (neck). Referral of pain to the shoulder can also occur from internal organs as the heart, gall bladder and the liver. Rheumatoid arthritis is an example of shoulder joint inflammation, which limits shoulder movements resulting in significant disability. Other inflammatory conditions such as gout is more common in older adults. Polymyalgia rheumatica is an inflammatory disorder that causes muscle pain and stiffness, especially in the shoulders. Osteo-arthritis of the shoulder joint is common as the cartilage covering the bone ends start to degenerate. Often the shoulder starts to click and lock with movement where a joint replacement is needed to resolve the pain and restore functional ability. If the rotator cuff muscles are damaged a reverse shoulder replacement is needed. Frozen shoulder is common in female baby boomers and those with diabetes or thyroid disease. Foot and ankle disorders commonly give concern from young children to the elderly. Foot and ankle pain makes it harder to walk or carryout daily activities and can interfere with getting out of a chair, climbing stairs, walking, running, driving a car. Pain that leads to less mobility is accompanied by decreased strength and reduced functional ability. There are two main challenges to the diagnosis and treatment of ankle and foot pain. To diagnoses both the problem and the cause. Treatment then must focus on both areas. Incredible changes occur in muscles and bones of the ankle around puberty. The vulnerable phase occurs around 10 years of age in girls and 12 in boys. Rapid increase in the length of bones can increase the odds of a fracture. Bones grow at a rate muscles cannot keep up with producing a phase of inflexibility leading to pain and inflammation. Sever’s disease affects the heel of the foot in the growth spurt phase. Growing pains as cramping and muscle aching can be present form months to years and are located in the calves and thighs. Juvenile arthritis, affecting the ankle joint is the most common arthritis in children. In children most, toe, foot and ankle injuries occur during sports, play or falls. The risk of injury is greater if the child is a dancer, gymnast, soccer or basketball player. Ankle injuries are common injuries in high school athletes. Sports that involve running and jumping, with the highest rates occurring in soccer, volleyball and track and field in female athletes. Female athletes have a higher rate of ankle injuries in practice than males. For male athletes the most common sports for ankle injuries are football and basketball. Male athletes have a higher rate of ankle injuries during competition. In 85% of cases a ligament on the outside of the ankle is mostly affected. The most common cause of an ankle sprain during athletic activity is contact with another person causing the foot to twist inwards against the lower leg. Ankle fracture, ligament tears, cartilage damage and cartilage tears. Overuse ankle injuries cause microscopic tears in these structures. Pain over the front of the shinbone can be caused by shin splints or in other instances a crack may develop in the shin bone known as a stress fracture, more common in female runners. 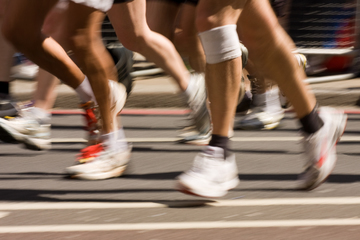 Overuse injuries occur when too much stress is placed on the structures of the ankle and foot. Inflammation of a bursa causes swelling and tenderness at the back of the heel and ankle. 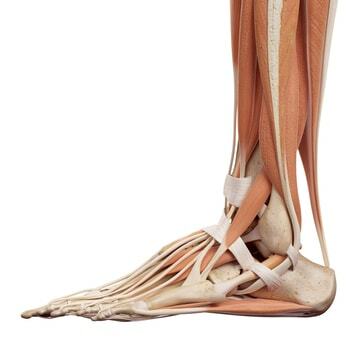 Inflammation of the Achilles tendon (Achilles tendonitis) and Plantar Fasciitis is inflammation of the plantar fascia can occur producing severe pain when the foot/ heel contacts the floor. Can affect every structure of the foot and ankle and may result in a ligament tear, a muscle tear, inflammation of the bursa, varying degrees of cartilage damage or a bone fracture. A bad sprain or fracture can cause damage to the cartilage of a joint and lead to arthritic changes on the foot or ankle. Can be explained as pain experienced in the foot and ankle, which originates in another location, possibly from the low back. Rheumatoid arthritis is the most crippling form of arthritis and a cause of joint inflammation, often developing in both ankles and feet. Other inflammatory conditions, as gout, is diet related often affecting a single big toe, common in men. Osteo-arthritis of the foot and ankle joint is the most common arthritis form. It can occur suddenly by an injury or its onset may be gradual. The cartilage covering the bone ends start to degenerate producing intense pain. Breakdown of joint cartilage causes the bones of a joint to rub together causing joint stiffness, pain and loss of movement in the joints of the foot and ankle. Osteoporosis is a decrease in bone density causing bones to become fragile and susceptible to fracture. More common in females and at times is seen in teenage female athletes. The knee joint is subject to many stresses and strains with activities of daily living, work tasks and sports related activities. 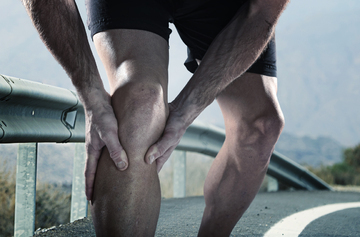 Knee pain can result from injury to any part of the knee, affecting all age groups. Are more likely to develop knee cap problems such as knee cap dislocation and knee cap movement abnormalities as chondromalacia patellae. Are more likely to have knee tendonitis (Jumpers Knee) or a condition known as Osgood-Schlatters disease where tendon overuse affects the bone just below the knee. 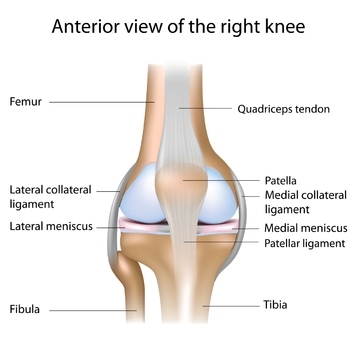 Kneecap fracture or dislocation, ligament tears, cartilage damage and tears of the meniscus tears or articular cartilage. Sports injuries can require a surgical resolution followed by expert physical therapy. More likely to develop ligament sprains, muscle strains or overuse injuries from repeated use. Can affect every structure of the knee and may result in a ligament tear, a cartilage tear, or a bone fracture, leading to swelling or bleeding in the knee joint. Can be explained as pain experienced in the knee which originates in another location, possibly from hip joint damage or from the low back. Rheumatoid arthritis is an example of joint inflammation, which may develop in patients of any age, other inflammatory conditions as gout is more likely in older adults. Osteo-arthritis of the knee joint is common. 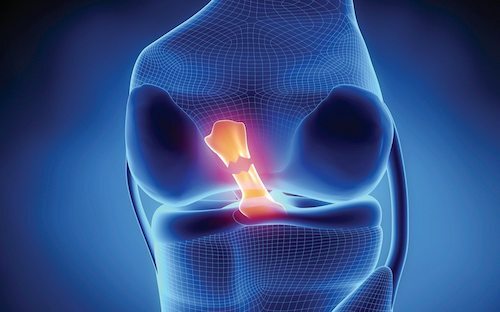 Often a Knee Joint Replacement is needed to resolve the pain and restore functional ability. At Pro•Motion Physical Therapy, we want you to understand that you have the right to choose where to go for physical therapy, and not all physical therapists are created equal! We believe physical therapy should be easy to access, convenient and stress free. We provide a seamless patient journey from initial contact/visit through discharge and beyond. We are not a physical therapy chain that relies on techs and assistants to administer treatment, sticking to the same routine for every patient; we are an independent team of professionals who tailor treatment to each patient/who simply do it right. Our evaluative and treatment methods have proven successful in practice for our patients, who always complete their therapy/rehab and return to us for future care, often recommending us to family and friends. We are the areas specialists in back pain, neck pain, headaches and whiplash, sports injuries and post-operative rehabilitation. Jayne received a Bachelor of Science in Physical Therapy (with honors) from the University of Brighton, England in 1993. Jayne then continued her practice with a research position at Curtin University of Technology in Perth, Western Australia in 1999. This position furthered Jayne’s education in physical therapy for those who have undergone anterior cruciate ligament reconstruction. In 2002, Curtin University of Technology published Jayne’s work in Physical Therapy in Sport, a work of the School of Physiotherapy. Adding to her expertise, Jayne is also certified in the McKenzie Method of mechanical diagnosis and therapy. Jayne’s interest in physical therapy stems from a love for the medical field, but also a desire to help patients without the use of prescription drugs. She loves building relationships with her patients and learning what is important to them as individuals. When not at work, Jayne enjoys good food, wine, and learning new ways to stay healthy. After receiving his Bachelor of Science in Physical Therapy (with honors) from the University of Brighton, England in 1993, Paul continued his studies in Australia at Curtin University of Technology in Perth, Australia, where he earned a Master of Manipulative Therapy (MMT) in 1999. Paul is one of only eight physical therapists in the United States with this advanced clinical degree. Paul taught as a faculty member at the Feinberg School of Medicine at Northwestern University in Chicago and has presented research at several clinical seminars. In 2000, his work appeared in Manual Therapy, a publication of the Center for Musculoskeletal Studies at the University of Western Australia, Perth. He is also a recipient of the Brian Edwards Award for Clinical Excellence. As an athlete, Paul has experienced his own need for physical therapy and decided to make this the focus of his studies in order to help others gain their strength back as well. His favorite part of what he does is helping his patients get back to a pain-free, fully functional life. Outside of his work, Paul enjoys traveling internationally, soccer, and keeping fit. On August 16, 2018 – Illinois Governor Bruce Rauner signed into law a bill that eliminates the requirement for patients to obtain a doctor’s prescription prior to seeking treatment from a licensed physical therapist. As a result, Illinois patients will have DIRECT ACCESS to physical therapy treatment immediately. Patients should note that the new Illinois law gives health plans the discretion to allow direct access to physical therapy, but it is not required. Limitations remain for some healthcare policies, including Medicare and Medicaid.There are also provisions that physical therapists and patients must follow. It is important for patients to consider their healthcare benefits as well as their health plans’ medical policy. Medicare continues to require a signed plan of care as condition of payment and in nearly all instances, a prescription from a licensed physician, physician assistant or nurse practitioner. To assure the highest level of accuracy for individual cases, patients should contact their employer’s healthcare plan to confirm whether a referral is still required, in light of this new law. If you are unsure if your Healthcare insurance provider allows DIRECT REFRRAL Pro-Motion Physical Therapy will be happy to contact your insurance provider on an individual basis for clarification. When my doctor recommends therapy, do I have a choice in providers? At Pro•Motion, your first visit is our chance to get to know you, your needs, and the best next steps for your care. You will receive therapy from the same professional at each visit rather than being shuffled between different providers. During your first visit, we will assess your pain, making sure to diagnose the root of the issue accurately getting to the cause of your pain not chasing symptoms. Our goal is to help you get to pain-free in as few visits as possible, saving you time and money. If, for any reason, your initial evaluation reveals that we may not be best suited for your care, we will communicate that to you so that you can make the best choices for your health. We want to make sure you feel educated and empowered in your healthcare decisions. What will be the duration and frequency of treatment? This will vary per individual. Our goal is to help you get to pain-free in as few visits as possible, saving you time and money. We accept most major insurance. We will call your insurance company to verify you coverage and benefits on your behalf! Additionally, our billing specialists are available to assist you with any insurance or billing questions that you may have. You can reach our billing specialists by calling 815-521-4400. Paul and Jane are incredible! I highly recommend this place if you need physical therapy! Our daughter was having lower back pain. Paul worked with her for about 4 weeks. They both reviewed her records to see what was going on. They are a great team and really took time for her. We always got in right away and never felt rushed! I am grateful for all their help to get our daughter back to normal. Pro•Motion is by far the best place you will find in this area for physical therapy. I have been treated for several issues and find them to be the most caring, educated therapists. I have been treated by Paul, but Jayne is equally as good. They take such pride in what they do. Definitely not a typical chain physical therapy entity. You deal with one of them throughout your treatment which is rare in my experience. This helps them know YOUR BODY and how to treat YOU. Give them a try...you will be glad you did! I walk because of them! By far the most professional and effective physical therapy available today. Their technique and knowledge far exceeds that of any other physical therapy clinics I've ever visited. I would highly recommend Pro Motion Physical Therapy to anyone with physical injury issues and a need for healing that malady. Wonderful, skilled care. Very respectful of my time. I am now pain free after 8 years of thoracic pain. Wish I had found you sooner. Thank you for your expertise!! I can not do this justice, but Paul is amazing! He listens, shows empathy, has compassion for what he does! I was blessed to be put into his path for my healing after a C5-C6 infusion. Wasn't sure what to expect, but he put me at ease the minute I spoke with him! He and his staff make you feel very welcome from the moment you enter the door. I wouldn't and won't go anywhere else for PT. They are top notch and wish them nothing but the best!! So thankful to Jayne for her excellent physical therapy treatment. Always knowing the perfect areas to work on to reduce my pain & discomfort. Such a wonderful therapy clinic! Want to hear more from our great patients? Check out these videos! Is your pain keeping you from driving yourself to our clinic? Not to worry! Our Pro•Motion shuttle is available to transport you to and from your appointment at our clinic. Nothing should stop you from getting the care you deserve! Call us at 815-521-4400 to schedule your Pro•Motion transportation appointment.